It is used in medicines. 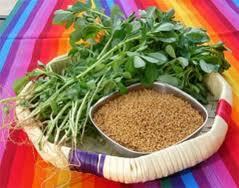 Fenugreek seed and leaves are good for increasing breast milk in lactating women. You can consume it either by incorporating it in your diet or chewing its seeds (after soaking them overnight). Fenugreek also helps in maintaining a good metabolism and prevents constipation.